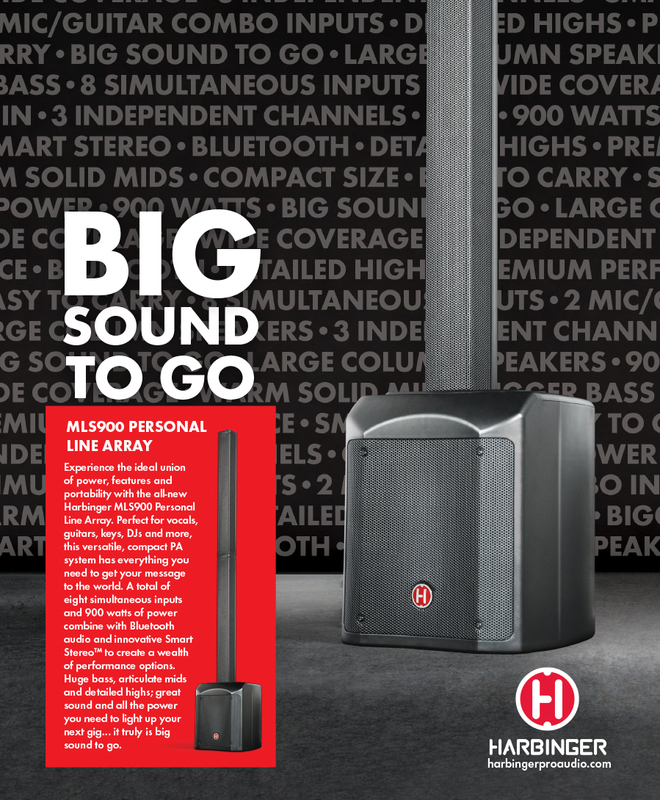 Ad for Harbinger MLS900 Personal Line Array. Responsibilities: Art direction of the photo shoots, working with in-house photographer, retouching of image(s), page design/layout, and preparation for release. Printed in: American Songwriter, Electronic Musician, Performer Magazine, Premier Guitar and Guitar Player magazine.